Water is one of the prime elements responsible for life on earth. Water circulates through the land just as it does through the human body. Water is part of our daily lives and we are heavily dependent on it. 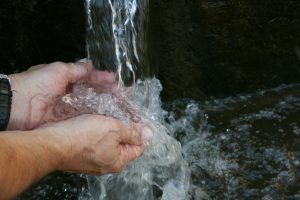 Conservation of water is important and necessary in order to save water for our future generations. Human beings are destroying the environment by wasting this 1% of clean water by excessive use of required water, throwing garbage into water bodies and through careless use of water in their various household works. This leads to shortage in pure drinking water for every single species on Earth. Conserving water is not difficult – it saves money, and is crucial for the future. 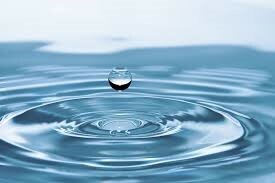 Water conservation refers to the reduction in usage of water. It can also include recycling of water for purposes like irrigation, cleaning, and even treatment for later use. Turn off the tap while brushing your teeth. 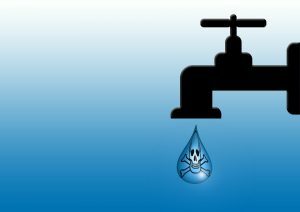 Water comes out of the faucet at an average rate of 2.5 gallons per minute. So don’t let the water flow, after wetting your brush. Turn off the tap while washing your hands. We don’t need water while we are scrubbing our hands. So by closing the tap we can save few gallons of water. Regularly check for any water leakage, if any fix it as soon as possible because even a small leakage will cause an extra amount of water usage. Stop using extra water in your toilets by flushing your tissues and cigarette butts. This type of flushing will lead to additional of water wastage for each flush. Take a bucket to the shower. When waiting for the shower water to warm up, collect the cold water that precedes the hot in a large bucket or waste can. Depending on how quickly your water heats up, the collected water can be used for a number of bucket toilet flushes. After cooking pasta or anything else that requires boiling or steaming, allow it to cool, and use it for bucket flushing or watering the plants, so that water is saved. Reuse for refills. Don’t grab a new glass each time. Refill the one you already have. This will cut down on the number of glasses to be washed each day. Don’t let the water run while you clean vegetables. Rinse them in a filled sink or pan so that water gets conserved. Don’t water the lawn on windy days. There’s too much evaporation. It can waste up to 300 gallons of water in one watering. Also cut down watering on cool and overcast days and don’t water during the rainy days. Adjust or deactivate automatic sprinters. It can save up to 300 gallons each time. While manufacturing a bottle of water, a large amount of water is wasted; so buy bottled water as less as possible. While buying appliances and fixtures, choose the one which consumes less water. Producing energy requires large quantities of water; so by using less electricity also you can save water. Manufacturing plants and other industrial processes use tremendous amounts of electricity to produce a variety of consumer goods, ranging from plastics and textiles to furniture, fabrics and clothing. As consumers use more of these products, demand for their production increases, which in turn requires factories to extend their hours of operation. As they conduct business, however, industrial facilities burn fossil fuels such as gasoline, diesel and coal. By recycling products, consumers can alleviate the need for factories to work overtime, which reduces the need for extracting the fuels needed for electricity. Recycling also reduces air and water pollutants by decreasing the need to extract and process timber, coal and other materials from the Earth. The transformation of materials into products requires heavy use of resources, and releases harmful toxins such as ammonia, carbon monoxide, sulphur dioxide and methane into the air. Recycling alleviates the need for raw material extraction, which prevents overconsumption of resources and preserves natural resources. While it is certain that water scarcity is bound to happen in the near future, it is also extremely heart-warming to see several educational institutions across India taking several initiatives to save water.